NEW YORK model chair with metal frame and upholstered and covered seat/backrest. 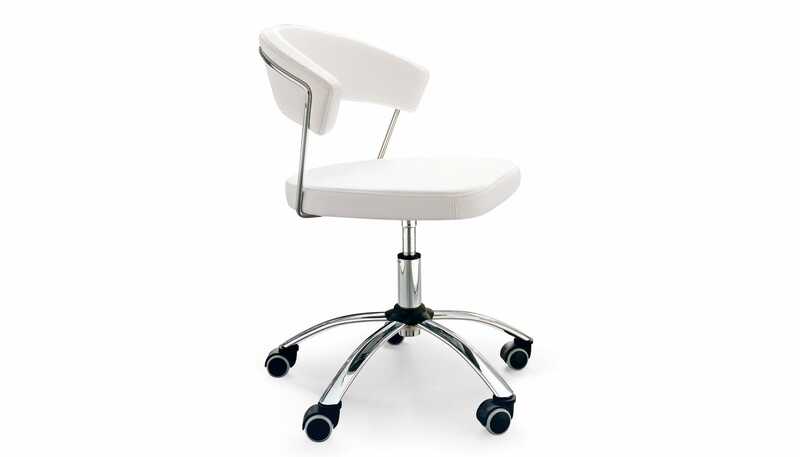 Swivel and height-adjustable. 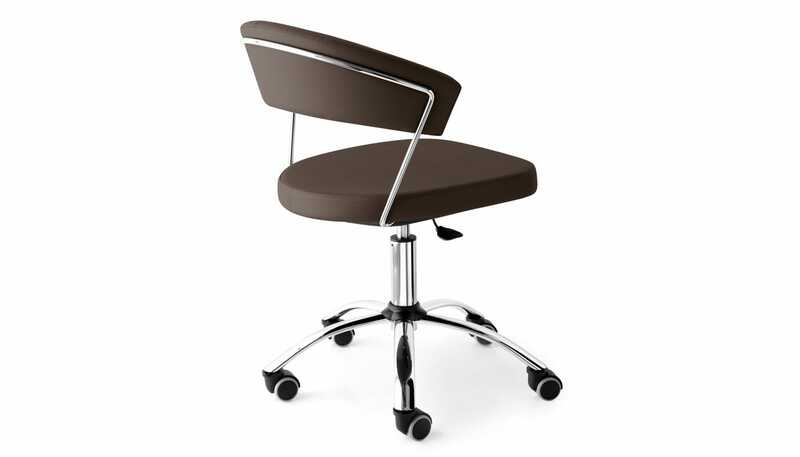 The wrap-around backrest and the wide seat, which make the chair always very comfortable, are both upholstered.